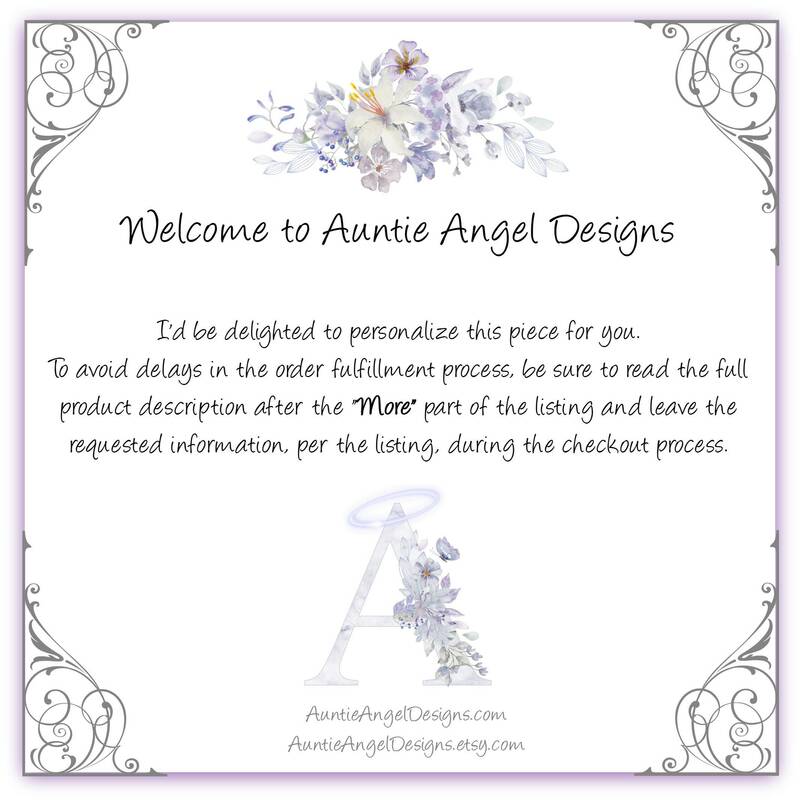 This angel baby ornament is a sweet welcome-to-the-world Rainbow Baby gift, Rainbow Baby shower gift, or first Rainbow Baby Christmas ornament by Auntie Angel Designs. 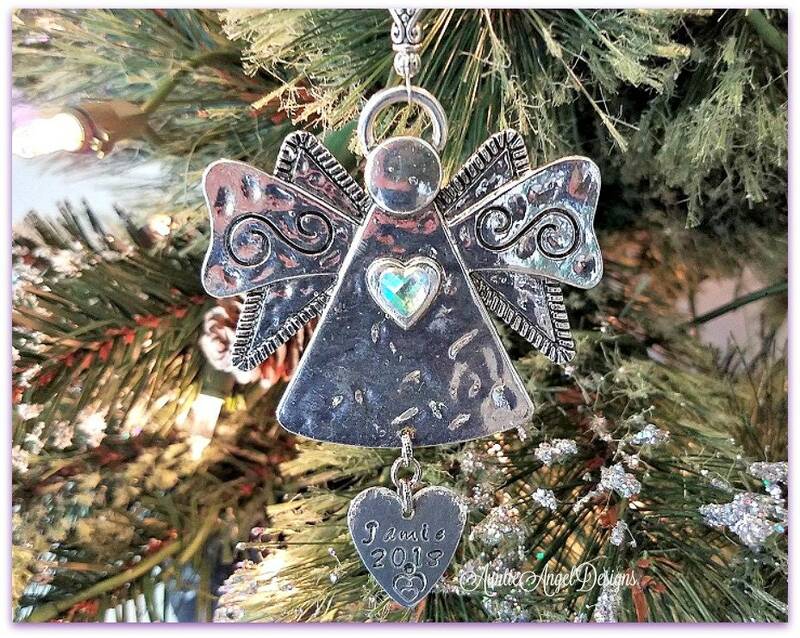 This cute angel ornament is a special tribute to the miracle baby born after the loss of another. 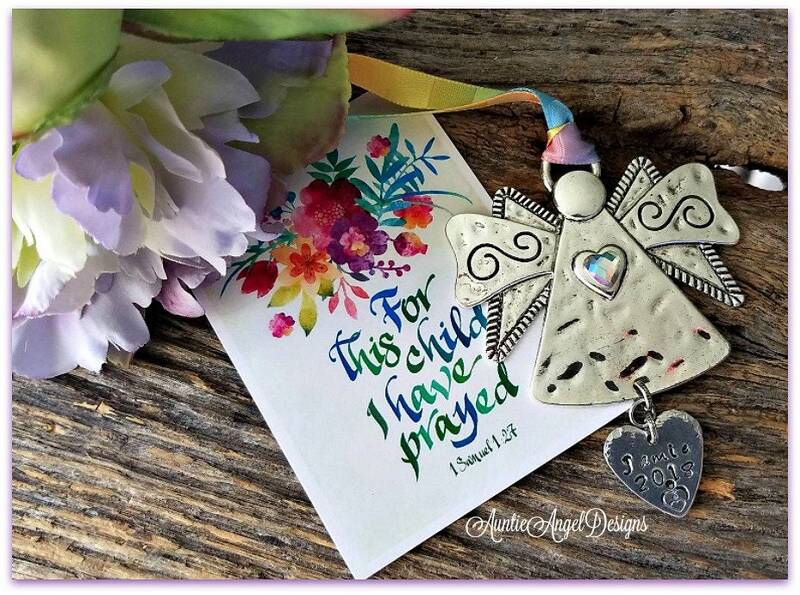 Each metal angel is made of zinc-based alloy and is lead and nickel safe and is approximately 3" long with stamped aluminum name stamped heart and is 2-4/8" wide. The ribbon adds approximately 3 inches to the length. 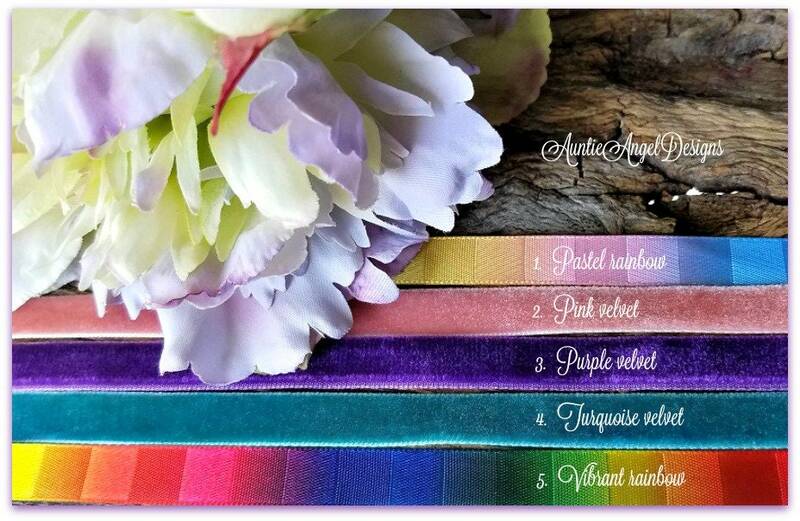 Message me if you need a longer length ribbon. 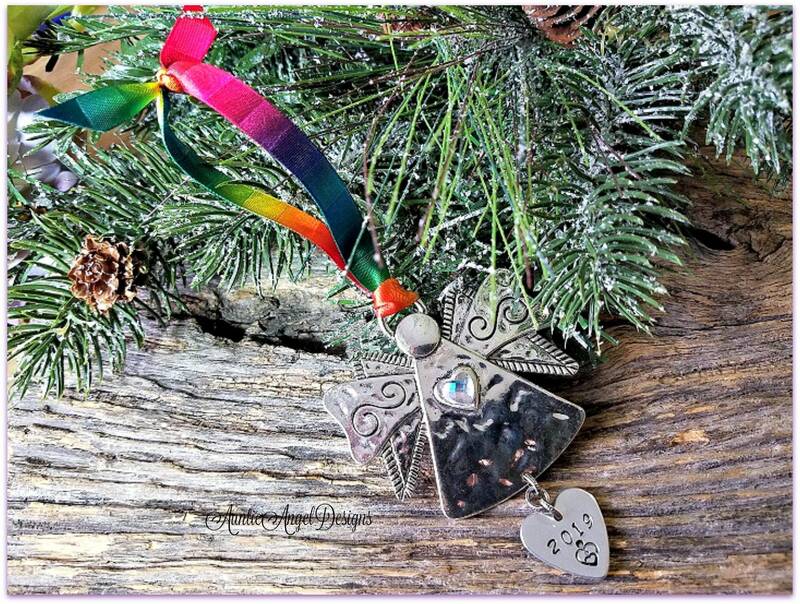 I personalize this piece with the Rainbow Baby's name hand-stamped on a 3/4" aluminum heart charm. A name can be stamped -- 7 to 8 characters maximum across -- and on only one side of the heart. I can also stamp a year, if requested. As each letter is hand-stamped by me, letter by letter, alignment and spacing may, and most likely will, be slightly off, which is the beauty of a custom hand-stamped piece. The name will NOT look like it has been engraved by a machine. 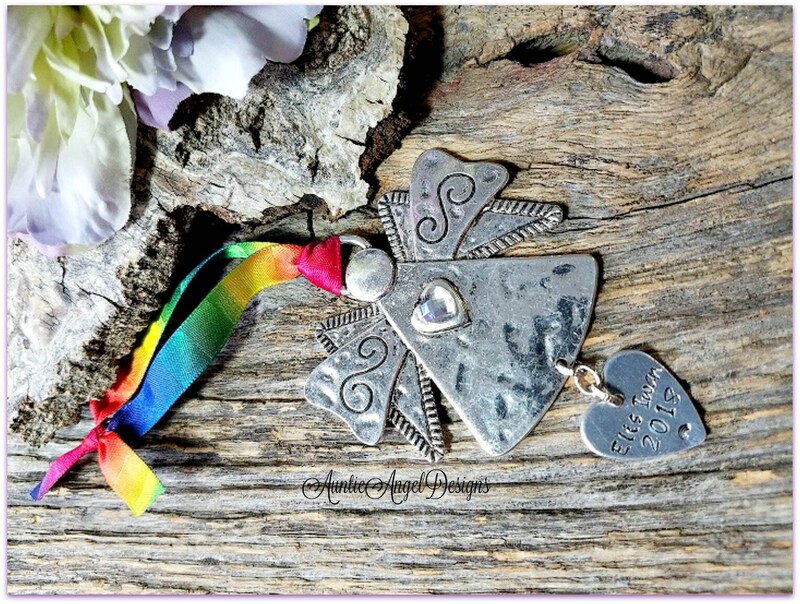 I finish the heart charm with a beautiful mom and baby stamping. 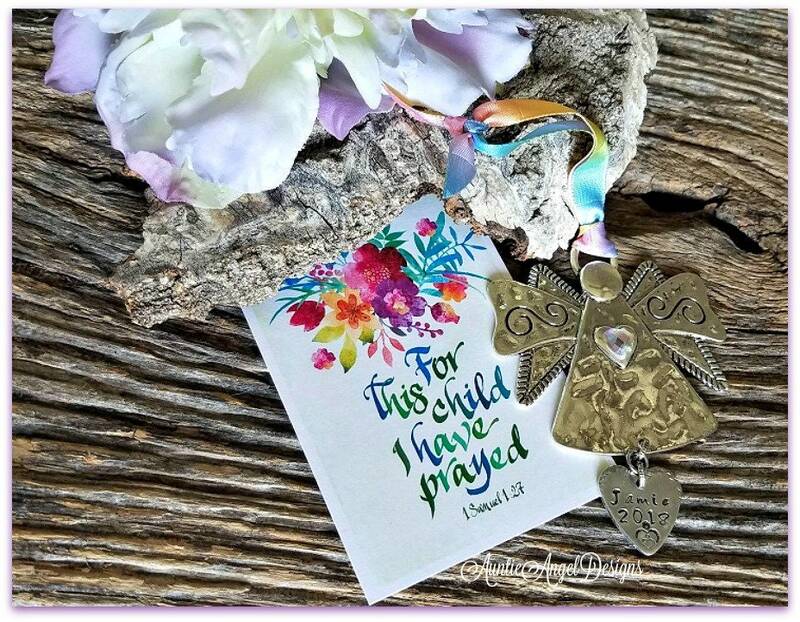 You will receive ONE ornament, lovingly wrapped in a lavender organza pouch as its gift wrap with a sweet "For this child I have prayed" card insert. If you elect to pay for gift wrapping, the ornament will be boxed and wrapped in a white swirl paper with ribbon. 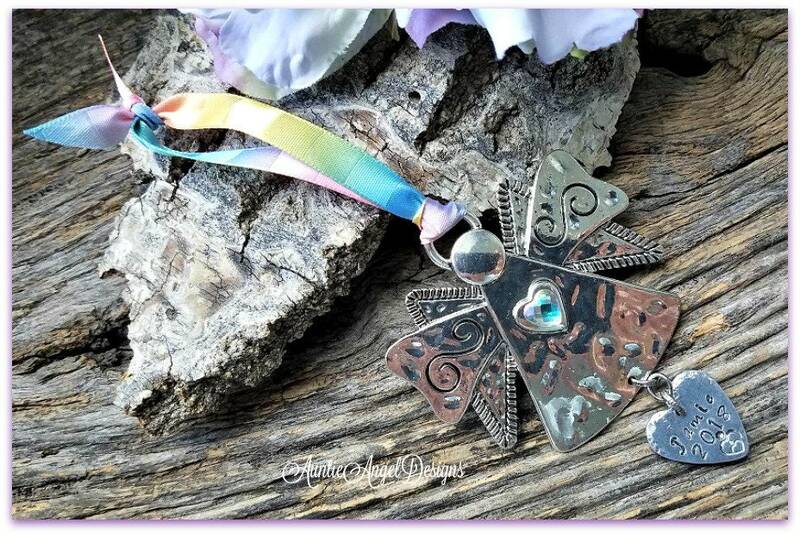 If I am sending this gift for you, please fill out the free Etsy gift card section during the checkout process and BE SURE TO "SIGN" YOUR NAME TO THE MESSAGE. 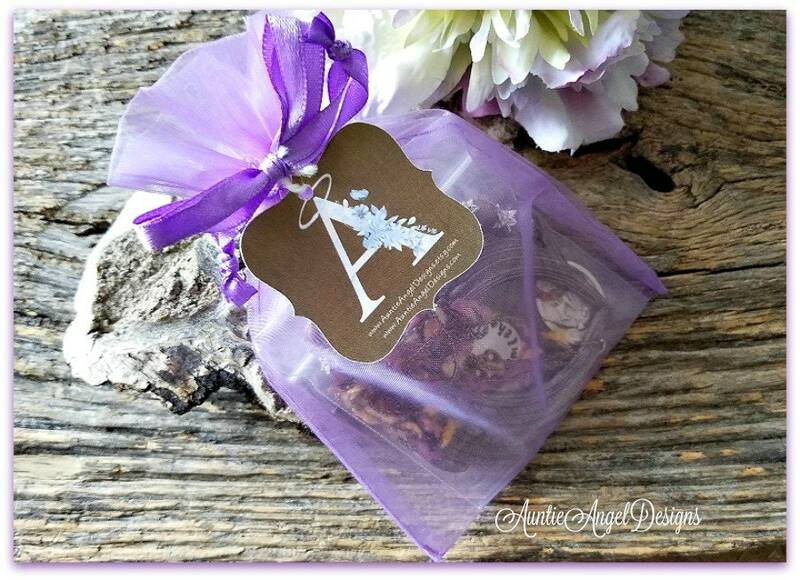 If the gift is being shipped directly to you for you to give your friend or loved one, be sure to click that this is a gift during the checkout process and I will include a blank gift enclosure card and envelope.